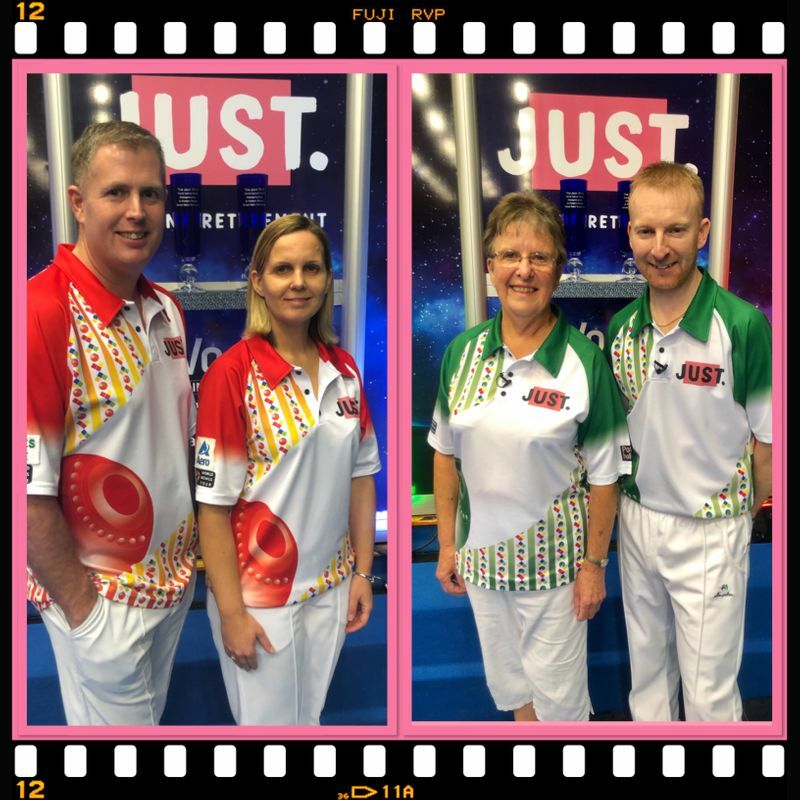 There was more wall to wall exciting action at Potters this afternoon with the semi-final deciders for a place in Tuesday’s Mixed Pairs title decider down for decision. In the first semi Nicky Brett was relentless as he continued his awesome form and along with partner Helen Carman from New Zealand turned numerous heads time and time again to deny defending champions Lesley Doig, a dental nurse from Newburgh in Fife and her partner Exeter Jamie Chestney 6-4, 6-5. Bringing Day 10 to a close a short time ago was the second semi-final and it didn’t disappoint, particularly in the closing stages of the second set. Ellen Falkner and Rob Paxton took first blood 8-4 and held a 5-3 winning position on the penultimate end of the second. However in a grandstand finish Paul Foster MBE played an inch perfect delivery with the last bowl, driving off the holding shot to count a vital treble, that gave them the set 6-5 and saw them level the match at one set all before the all-English pairing won a thrilling tie break 2-1. The title will be decided on Tuesday afternoon. Both men have tasted success in this event before, with Brett winning two years ago with Scotland’s Claire Johnston and Paxton in 2015 with Marion Purcell from Wales.